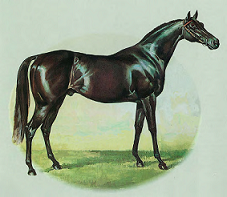 The Barb (pictured left) foaled in 1863 was one of the early Thoroughbred champions in NSW. FILLY: a female horse up to 3 years of age. COLT: a male horse up to 3 years of age. GELDING: a male horse which has been castrated is termed a gelding at any age. MARE: a female horse from 4 years of age upwards. HORSE OR ENTIRE: a male horse from 4 years of age upwards. Can also be referred to as a stallion. RIG: a male horse who has either one or both testes undescended, or a male horse that has been improperly castrated. BROODMARE: once a female horse is retired to stud duties. STALLION: once a male horse has been retired to stud duties. As all racehorses are registered through the Australian Stud Book, they are required to be freeze branded, DNA tested and have a microchip. What do the brands mean? All registered racehorses have 2 freeze brands , one on each shoulder which not only helps to identify each individual horse, but also tells us a few details as well. 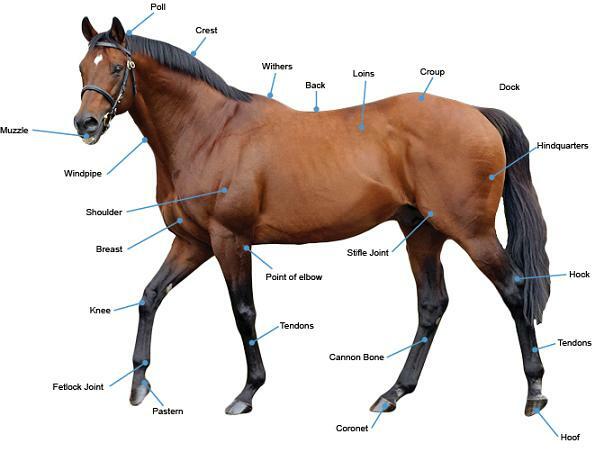 Each stud, owner or breeder have their own distinguishing brand that goes on the horse’s near shoulder (left hand side). The brand on the off should (right hand side) is numerical and is made up of 2 parts. 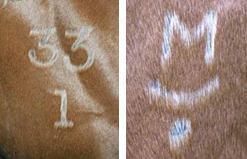 The upper number signifies the order in which the foals were branded, while the lower figure represents the last digit of the year in which the foal was born (for example ‘1’ could mean 2011, 2001, or 1991). Nobody knows the recipe for creating the perfect thoroughbred racehorse, but many industry professionals would place considerable weight on a horse’s pedigree. Since many thoroughbreds are sold for large sums of money as yearlings, before they have ever step foot on a racetrack, emphasis is placed on pedigree and physical conformation for determining racing potential. A pedigree not only reveals the sire and dam lines, but also shows the performance records of a horse’s ancestors. Yet there are many feel good stories in the industry of horses with less than average pedigrees who have sold for next to nothing and yet have risen to be true champions. Horses can begin their racing career as early as 2 years old, and many retire by the age of 4 or 5. Healthy, fit horses can race for years, with some still running beyond 10 years of age. Many racehorses tend to be at their peak condition at the age of 4 or 5. There are several factors that will affect an individual horse’s success on the track. Some aspects are inherent, such as breeding and conformation, while others are environmental factors, such as the trainer, jockey, nutrition and location of training. It can often be difficult getting the balance right for each individual horse, but the right combination can lead to great success. Many different people are involved in the day to day life of the racehorse, from the farrier to the veterinarian, the strapper and track work rider. Check out the Beginners Guide to careers in racing to see some spotlights on these professions. 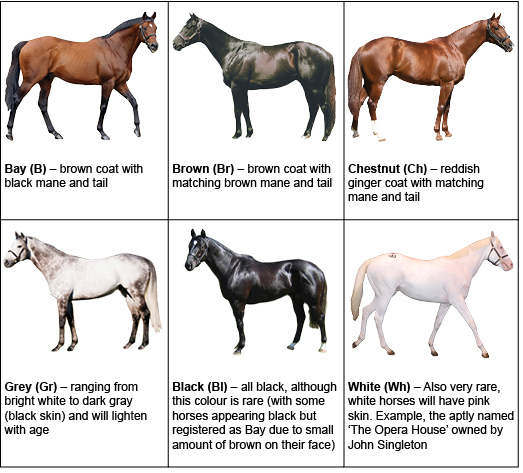 Breeding – The very best male racehorses can retire to become stallions and hopefully pass on their best characteristics. Many female horses will retire to stud at the conclusion of their racing career.